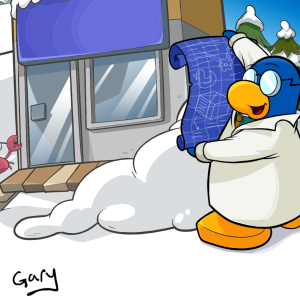 This is just a quick post to let you know that Gary made an appearance today on the server Sleet. Congratulations if you met him, and good luck next time if you didn’t! This is just a quick post to let you know that Gary visited the server Marshmallow today, and he had this background. The tracker also (automatically) tracked him! Good luck if you didn’t meet him, and congratulations if you did! Sadly, literally thirty seconds after I went to sleep, Gary made an appearance on Marshmallow! 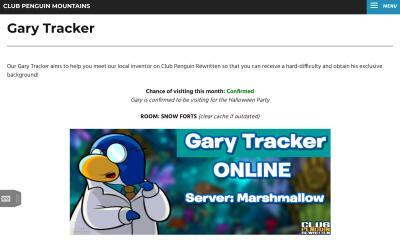 I want to apologise because I did not configure the tracker for Gary yet, as I was testing it with Rockhopper. The Gary tracker will now work automatically too. This was his background, and it is highly likely he will visit again soon! This party has now ended. 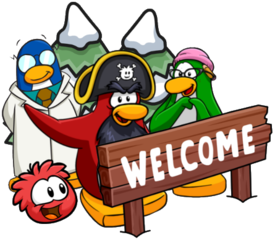 Herbert has successfully taken over the island and Operation Blackout has begun on Club Penguin Rewritten until December 6th! 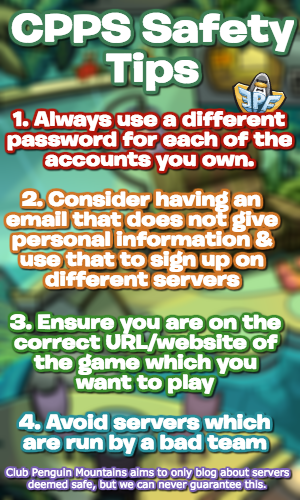 The party is amazing and this post will be giving you a full guide to complete all the activities during the event and collect all the items! Multiple mascots will be visiting this party, but Dot, Jet Pack Guy and Herbert are the only confirmed ones. This manual tracker will hopefully help you find some mascots during the event, but please be aware it is not automatic!